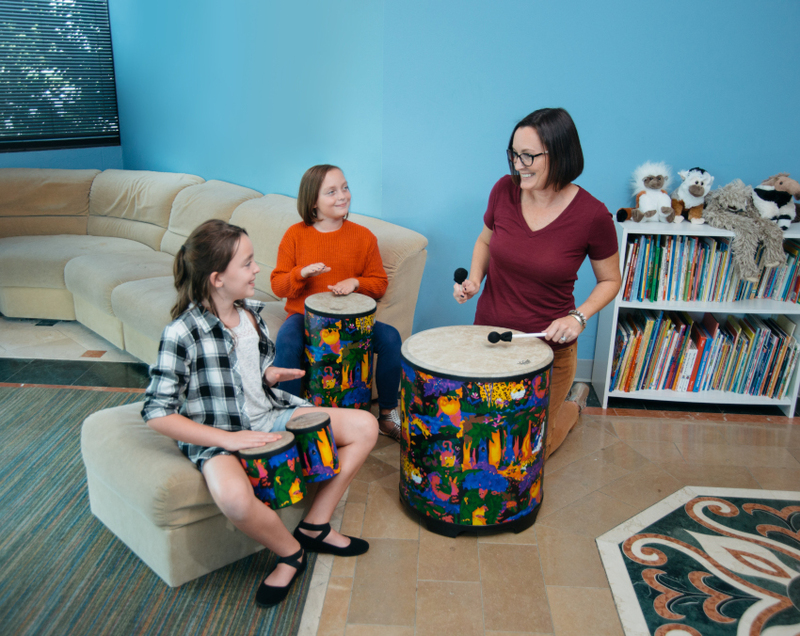 The Rainforest Rhythm Kingdom Early Childhood curriculum was developed using a variety of modalities to create a well-balanced music experience for each session. The modalities are drumming, singing, improvisation, movement and speaking (rhythm chants). Each session destination gives opportunity for creative self-expression, imagination and reflection. It is an early childhood rhythm, movement and music program tailored for pre-k to early elementary students. The RRK curriculum engages and energizes students as they explore basic elements of rhythm, music and movement. During the eight week sessions students will be led on a jungle journey to eight destinations. Each destination includes a session song, groove ‘tude’, groove chant, groove tune, rhythms and drumming. (*Groove chants and ‘tudes’ help enhance social and emotional skill building). The Rainforest Rhythm Kingdom pre-k and early elementary lesson plans are designed for teachers and parents with or without formal rhythm training. Every teacher and parent is strongly encouraged to make each lesson their own. Trained Music Educators can create and add their own grooves, or make up a song to go along with a session tract. They can also choose different parts of any lesson plan to add to/enhance their existing lesson plans. Teachers or parents without formal training can use the RRK lesson plans, CD and instructional downloads as a guide to create a successful lesson about rhythm and groove. Click HERE and discover sample videos, free activity sheets and purchase the program. 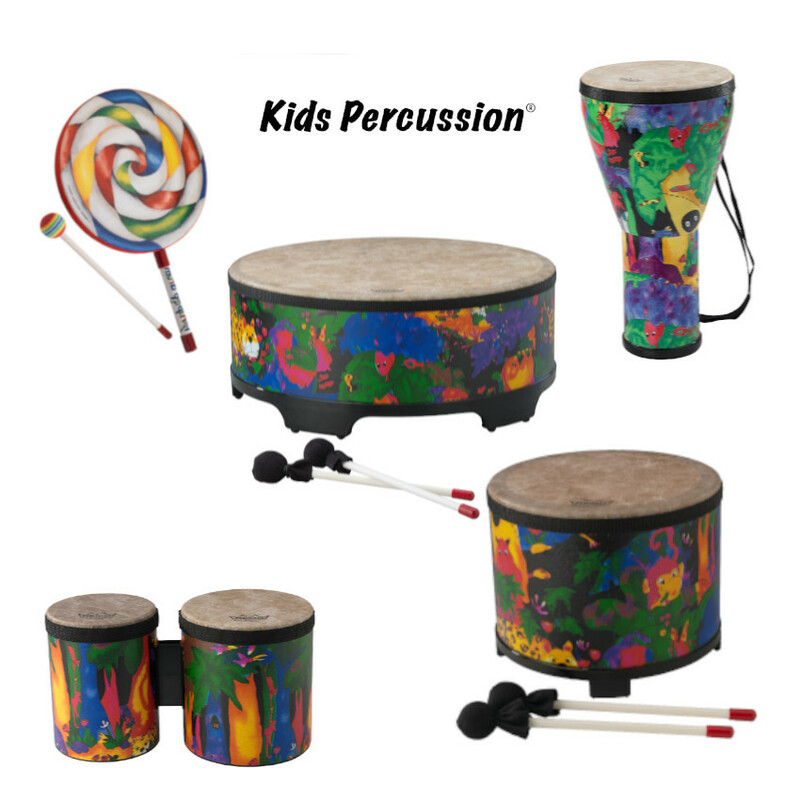 Explore all of Remo's award winning Kids Percussion instruments HERE. 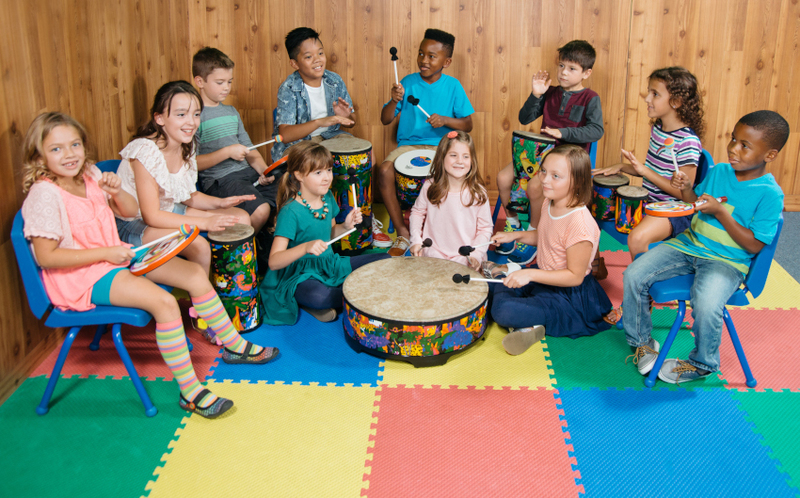 Bongo Boy Music Recreational Music Center hosts drum circles, kids field trips, team building events and wellness drumming with seniors using Remo products.